Took a lovely road trip out West yesterday while we are enjoying this great weather. We are lucky to live only a short drive away from Glandore and Union Hall, two small fishing inlets that face one another across the water. The scenery here is beautiful and on a sunny day could easily be mistaken for the south of France. We finished our day out with a paddle (the water temperature is distinctly less Mediterranean) and a coffee in the Glandore Inn, overlooking the harbour. Squince Harbour, Union Hall. Overlooking Rabbit Island. Welcome! Throughout my time working as a painter I have been lucky enough to meet some lovely people from all around the country and further afield, many of whom have become firm friends. 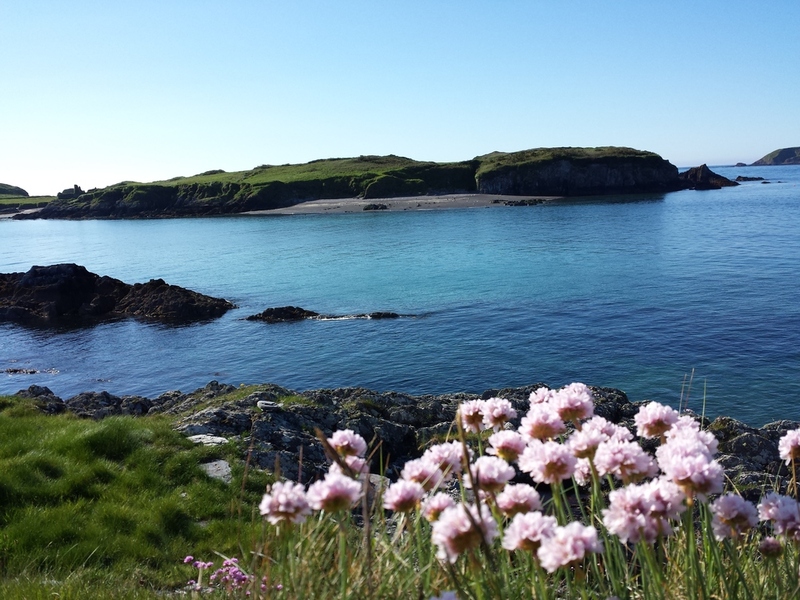 Something that seems to unite all of them, and me, is an appreciation and love of West Cork. For some, it is a lifetime home, for others a sanctuary, but we have all been touched by the wild beauty of it's landscape, the depth and prevalence of it's history and the warmth of those who call it their own. For myself, West Cork and those places that share the same magic - Cahirsiveen, the Skelligs and all along the Wild Atlantic Way, have offered up 20 years of inspiration. In that vein, I have decided to archive this landscape through a visual diary in a hope that this collection will make sense of my own work and celebrate the beauty of its subject matter.